Meyers Group just scored a $35 million construction loan for the first phase of its Avery Dania Pointe rental complex within Kimco Realty Corp.’s 102-acre Dania Pointe mixed-use project. Centennial Bank provided the financing. Alan Losada, EVP and COO of Meyers Group, arranged the deal, according to a press release. 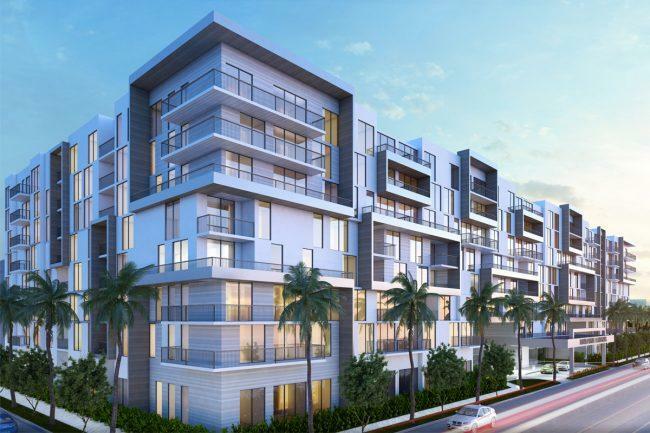 The first phase, consisting of an eight-story, 264-unit luxury apartment, is underway on the northeast corner of I-95 and Stirling Road in Dania Beach. The second phase is slated to launch in the next two years and will bring an additional 336 units. Avery Dania Pointe will offer one-, two-bedroom and two-bedroom plus den apartments ranging from 700 square feet to 1,250 square feet. Rents start in the $1,600’s. The first phase is slated to open the first quarter of 2020, according to a press release. 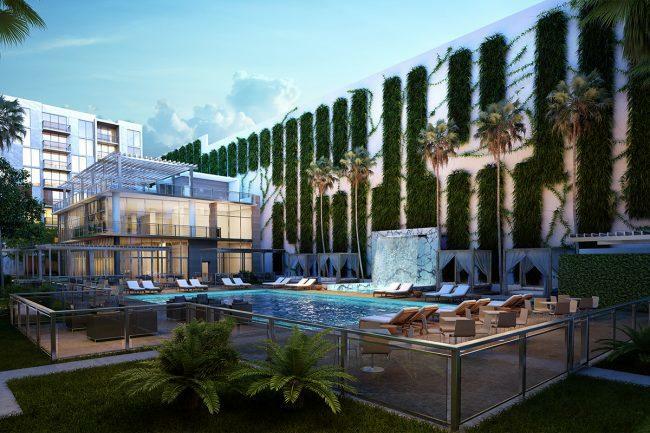 Designed by Miami architect Kobi Karp, the project will feature apartments equipped with keyless access, full-size washer and dryers, stainless steel appliances and double sinks in the master bath. Amenities include a fitness center, an indoor and outdoor yoga studio, game room, fire pits, pool with cabanas and a private theater and pool with a deck and hot tub. The development also will include a dog wash, dog park, bicycle racks and a multi-level parking garage. In total, Avery Dania Pointe will deliver 600 units within the Dania Pointe shopping and entertainment center, which has signed on major retailers like Brandsmart USA, Lucky’s Market and Ulta Beauty. In August, Kimco secured $67 million in financing for the project. Dania Pointe will also include 500,000 square feet of office space and two Marriott-branded hotels, including the millennial-driven AC Hotel.